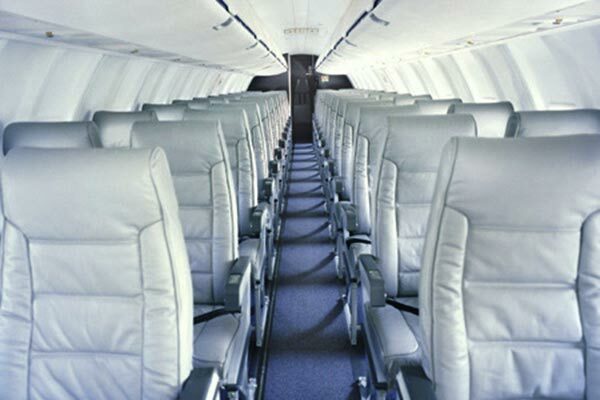 The Bombardier is a preferred plane of the SA Express fleet. 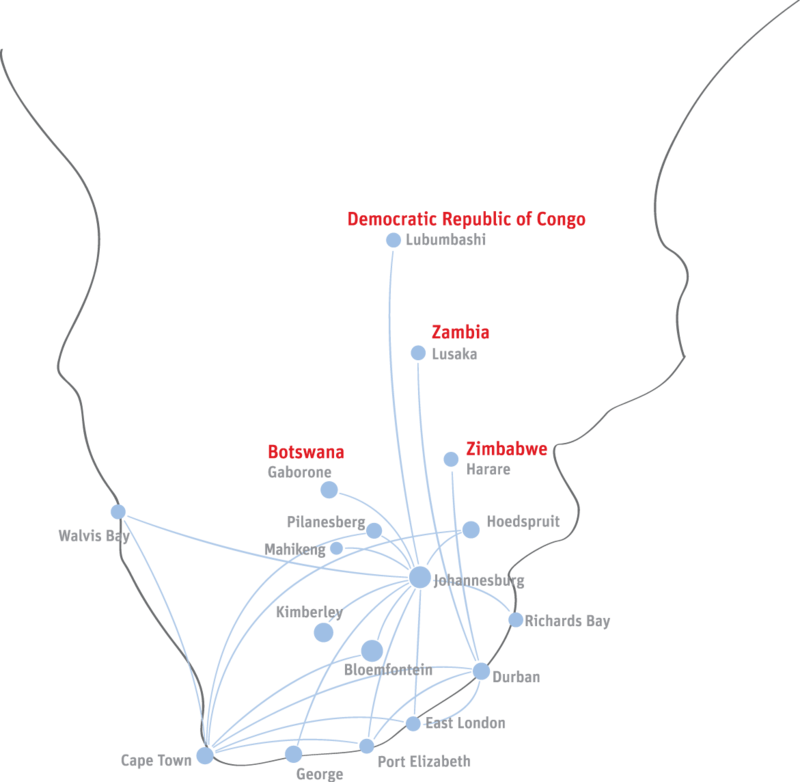 Supporting its alliance partnership with ‘South African Airways’, SA Express (SAX) provides a wide feeder network to many South African destinations with the partnership affording locals and visitors particular benefits including ‘Voyager’ rewards, co-ordinated flight schedules for stress-free service, check-in and ticketing facilities, flight codes and mutual branding. 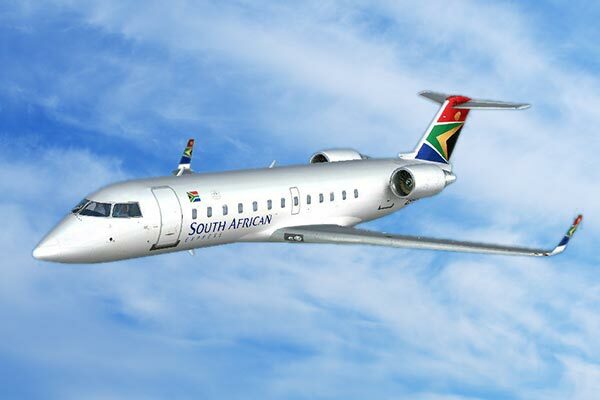 Even thought South African Express has remarkable similarities to its strategic partner South African Airways and SA Airlink, it is a completely different operator. 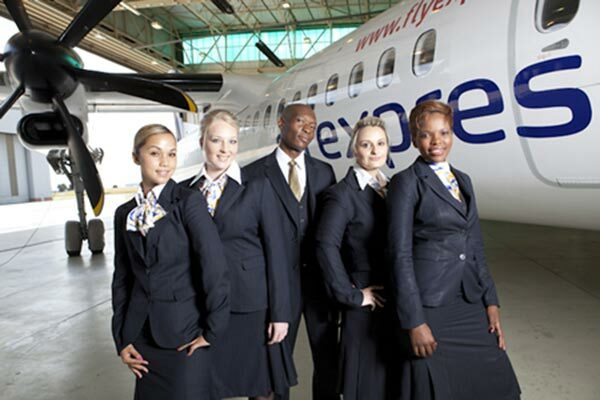 Since 1994 SA Express are the most rapidly growing regional Airline in Africa. We are always scanning millions of flights to give you the cheapest SA Express prices. You can see the best prices our customers are getting during the course of the year. Some of the most popular SA Express routes include; SA Express flights to Johannesburg, Durban and Cape Town. SA Express provides an wide network of routes to support their alliance partnership with SAA to the majority of destinations in South Africa domestically and in Africa. Their relationship with SAA has always been close which provides a number of benefits for both local and international passengers alike. This partnership entitles customers to Voyager benefits as well as flight schedules that are coordinated to provide hassle-free services, which include ticketing, check-in facilities, mutual branding and flight codes. SAX’s fleet of 24 aircraft comprise 10 ‘Bombardier CRJ 200s’ with a seating capacity for 50 passengers, 4 ‘Bombardier CRJ 700s’ capable of carrying 70 people and 10 Bombardier Q400s that seat up to 74 passengers. The aircraft are identifiable by their white bodies with blue, green, red, yellow and black tail and wing tips that can be seen flying throughout South Africa as well as to Namibia, Botswana, Zimbabwe, Zambia and the Democratic Republic of Congo. Passengers can indulge in a good read with the SA Express airline’s ‘Indwe Magazine’ with content covering destinations, news, business, entertainment and southern Africa’s varied cultures. ‘Indwe’ has won a variety of awards one of which was being voted 5th best in-flight magazine in the world by ‘CNN Global Experiences’. To maintain its on-time departure record SA Express takes departure times seriously so passengers should arrive timeously with the correct documentation as their flight will not be delayed. Regional flights open 2½ hours, closing 50 minutes before departure with boarding gates closing 20 minutes prior to take-off. For domestic travel, passengers have 1½ hours, with 30 minutes before take-off and should be at boarding gates within 15 minutes of departure. Using a ‘Fast Check’ kiosk available at ‘OR Tambo’, ‘Cape Town’ and ‘Durban International Airports’, passengers holding e-tickets can check-in and get their boarding pass in 20 seconds! These kiosks close 90 minutes before flight departure and require a booking reference or e-ticket number, passport or Voyager number provided the latter two were presented in the booking. Travellers that used their credit card for payment should have this card with them to obtain their boarding pass. This is a great option for travellers with no checked luggage. Passengers shouldn’t include valuable items in luggage on ‘Skycheck’ or in check-in luggage as the airline will not be held liable for loss or damage. SA Express permits passengers one item of carry-on luggage not exceeding a weight of 7kgs or total dimensions of 115cm (52x40x23cm) that must fit into the overhead compartment or underneath the seat in front of them. Due to limited cabin space, passengers have the option of utilising ‘Skycheck’, the airline’s special hand luggage facility that allows for a more comfortable flight and quicker embarking and disembarking. Passengers can place any hand luggage not needed in-flight onto the ‘Skycheck’ cart before ascending the aircraft steps which will be waiting on arrival when they’re descending the aircraft steps. Additionally passengers are permitted with no charge, a handbag or pocket book, overcoat or blanket, umbrella or walking stick, reading material for the flight, a small camera or binoculars, food for their infant during flight and a carry basket or cot. Articles allowed, needed for use during flight by disabled passengers, with no extra charge comprise a pair of crutches, one small piece of dialysis equipment (cargo hold), one wheelchair (cargo hold) and one other orthopaedic apparatus. Prosthetic items if the passenger is reliant upon them, a portable PC and mobile phone, both which should not be activated. Pieces exceeding 32kgs are not accepted as excess baggage and must be checked in as air cargo at the applicable cargo rate. Free baggage allowance weight concept permits adult passengers 20kg, children 20kg and infants not taking a seat, 10kg plus one collapsible stroller. Seamen and ‘Voyager’ members are entitled to additional kilograms. Domestic flights will incur a charge of ZAR30 per additional kilogram with international flights incurring a charge of 1.5% per kilogram, based on the highest South African fare for a regular direct flight for an adult, one way in economy class. Passengers are not permitted to pack fragile or perishable items into their check-in luggage including computers, mobile phones, company or legal documentation, cash, cheques or cash cards, bullion or any type of jewellery. Firearms are permissible on flights to 15 destinations in southern Africa with provision for shotguns, hunting rifles and ammunition being transported in the cargo hold. Passengers wishing to transport firearm/s should contact the call centre or check online for specific conditions pertaining thereto. Passengers may include their sporting equipment in their free baggage allowance however the airline does not accept responsibility for damage to these items. SA Express provides passengers with special meals covering Kosher, Halaal, Hindu, Low Fat and Vegetarian provided the necessary request is made when booking and within a 48-hour period prior to departure. The same applies for passengers requiring wheelchairs or assistance with unaccompanied minors (12 years and younger). The airline is not able to transport stretchers or incubators and doesn’t allow for pets in the cabin but makes an exception for ‘guide dogs’ to travel free with their owner who must be dependent upon them. Passengers that wish to change or add a service can easily do so under ‘Manage My Booking’ online. SA Express Call Centre: 0861 SAXCARES (0861 729 227). Upgrading to a flexible ticket allows you to make 1 FREE date change to your domestic flights booking.